It’s starting to get rather chilly going home at night now! There are quite a few colds going around as well… I need to be careful not to catch one! Everyone be sure to take care of your health!! 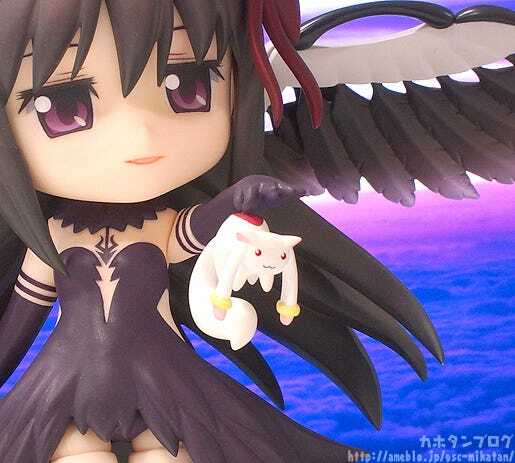 From ‘Puella Magi Madoka Magica The Movie -Rebellion-‘ comes the long-awaited Nendoroid of Devil Homura! 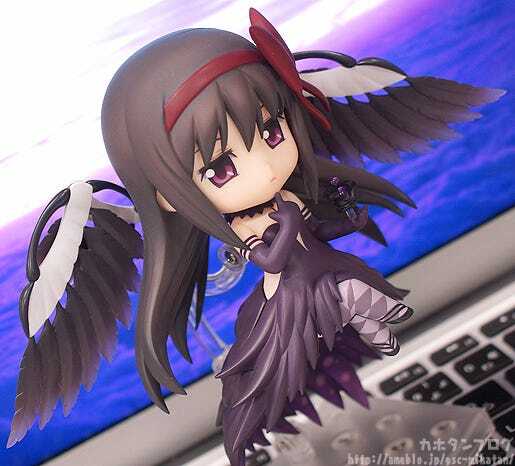 Her stunning jet-black dress and devil wings have all been carefully shrunk down into Nendoroid size. 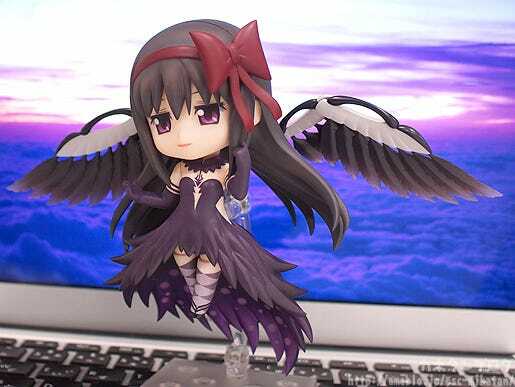 She comes with her standard expression as well as a smiling expression. 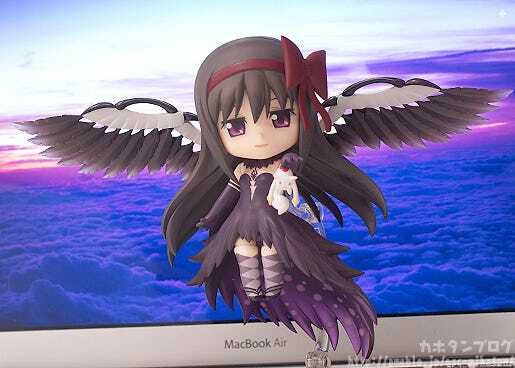 Optional parts include the dark orb as well as a special hand part holding Kyubey. Enjoy recreating all of your favorite scenes from the movie! I just love the way she is looking down on me with those eyes!! 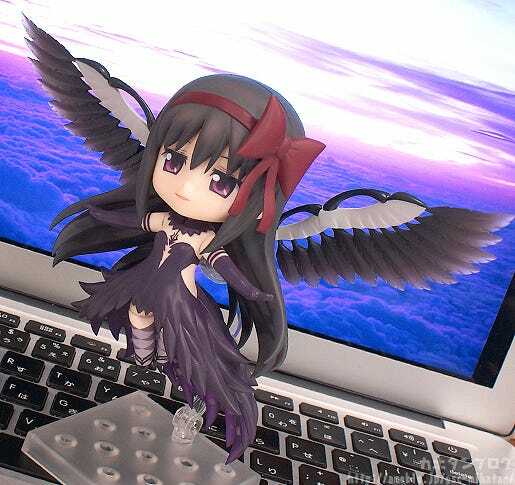 In her hand she holds the Dark Orb! 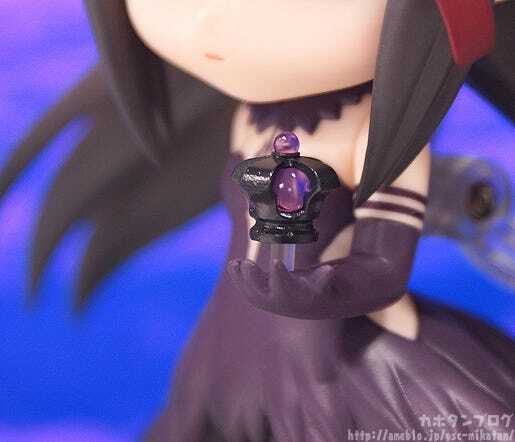 To put it simply, it’s a fragment of a Soul Gem transformed into a dark jewel! It has also been sculpted in lovely detail! We’re joined by the figure’s planner, Yassan!! The elevation adds a more lonely feeling to her eyes! 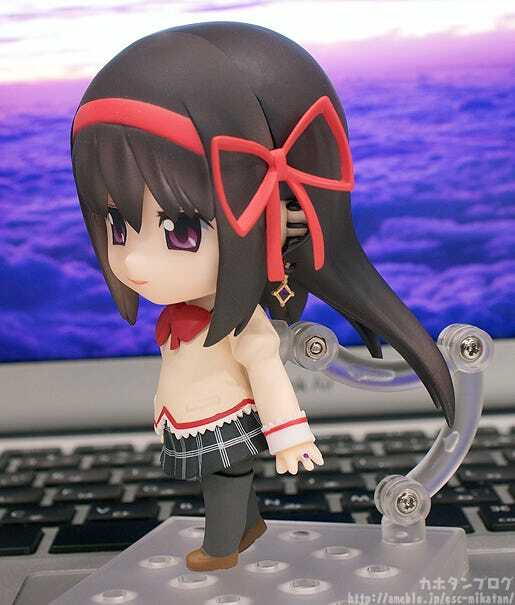 If you compare her eyes to the previous Nendoroids you can see the difference! 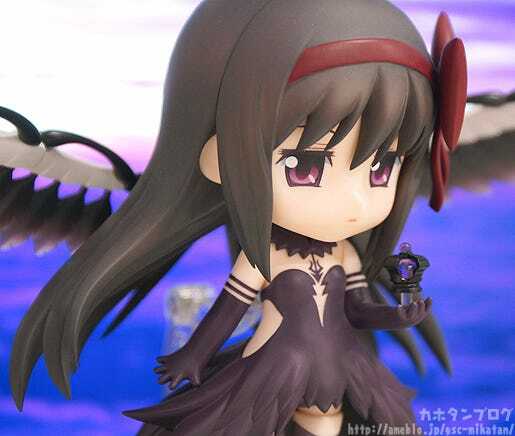 Was there anything else about Devil Homura that felt different compared to the normal Homura? 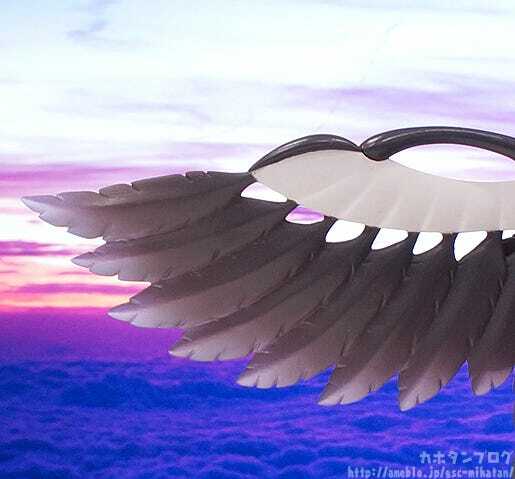 How about her wings! They look spectacular too! 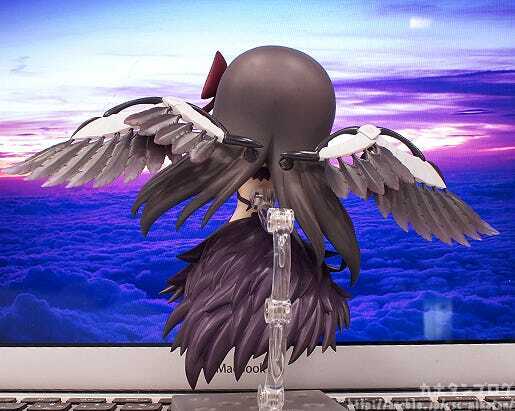 The wings also feature points of articulated points for all sorts of different poses! 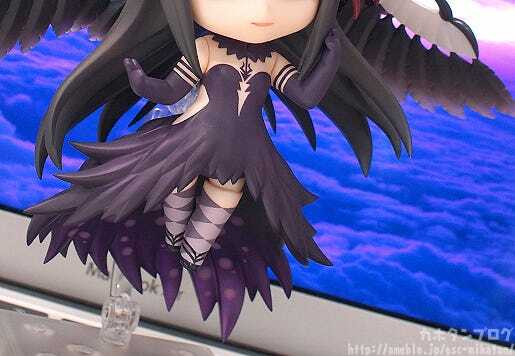 If you look at my last photo, you’ll notice some of the feathers facing a different direction! 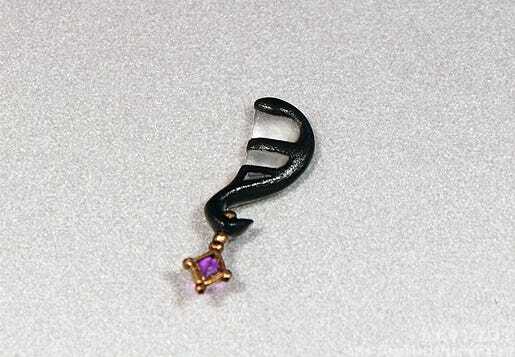 Even the designs of her neck collar and shoes have been carefully made! Is she holding what I think she’s holding?! 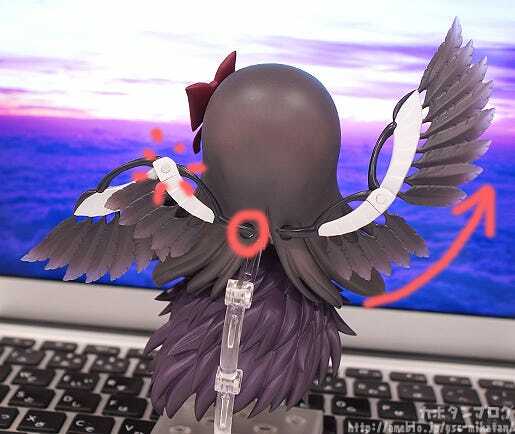 A perfect Nendoroid-sized rendition of that famous scene!! 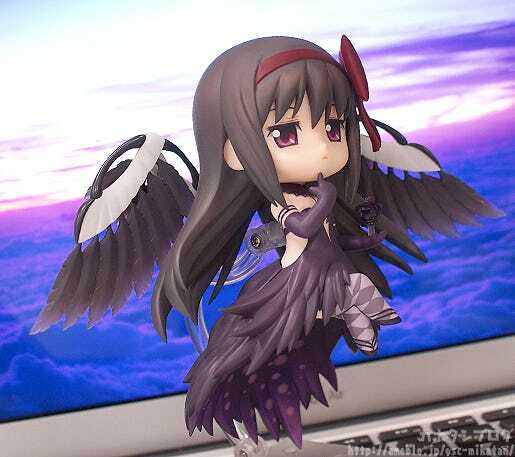 The Homura-chan from the very last scene in the movie! Σ(･ω･ﾉ)ﾉ! Check the GSC Site for more details tomorrow! !